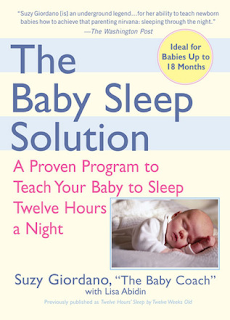 Your Guide to The Baby Sleep Solution ~ My Baby Sleep Guide | Your sleep problems, solved! I know some of you have been wondering how exactly do you get a baby to sleep 12 hours by 12 weeks of age? I know I was curious when I heard about The Baby Sleep Solution (then called 12 hours by 12 weeks) several years ago. And being the kind of person I am, I was also curious if I'd like the method behind the sleep madness. I'll go over the general steps of the method for you below. Since I can't exactly copy the book word for word here, you'll have to buy/borrow it to find out the nitty gritty details and how-to's. Luckily it's a super quick read so it won't take you more than an afternoon to get through. Not something I can say about all sleep books! Age/Weight Requirements for Giordano's sleep program: At least 9 pounds* and at least 4 weeks old if a single baby, at least 8 weeks old if a twin and at least 12 weeks old if a triplet. Daily OZ Requirements: At least 24 oz of formula or breast milk per 24 hours*. Baby will eat more as she gets older--follow her lead. If you are breastfeeding, measure in minutes or pump and feed bottles. Keep a log of when baby eats, how much baby eats, diapers and when baby sleeps before and throughout sleep training. Always monitor your milk supply if you are breastfeeding and always monitor baby's general health and well being. Try to encourage good sleep habits (what she calls pre-sleep training) and full feeds (roughly every 2.5-3 hours) before you begin sleep training. First off, you'll work on gradually extending out feeds to every 4 hours during the 12 hours of your baby's day. These feeds will end up being at relatively set times from first morning feed to bedtime feed (4 total). Once baby is eating every 4 hours during the day, you'll work on gradually dropping feeds at night. Most likely you'll already notice a feeding routine at night by this time. You'll try to encourage your baby to continue extending out the feeds and discourage steps backward, mainly working on one feed at a time. As baby eats less at night, he'll start to eat more during the day at his feeds. Next you'll work on having baby sleep 12 hours at night. If he doesn't sleep that long, he should be able to happily entertain himself until you come to get him from his crib. Many people end up having their baby sleep a shorter stretch than this when they are younger, for various reasons. After baby is sttn for 2 weeks (12 hours), you'll start to work on naps. Baby will sleep around 3 hours each day, 1 hour in the morning and 2 hours in the afternoon until 18-24 months (they may end up resting rather than sleeping during some of this time as they get older). Some people will also give baby cat naps during the day when she is too tired to make it to her next nap although this can backfire if it is too close to bed. You need to expect some hard work and be committed if you want sleep to improve. Always use good judgment--if you feel baby needs to be fed early or comforted more than usual, then do it. You'll likely end up using Giordano's limited crying solution at various times during the above steps. Treat multiples as individuals as you move through the sleep program. "This method enforces the baby's natural tendency to drop nighttime feedings as long as the baby's nutritional needs are met during the day. Many babies on their own start to sleep ten to twelve hours a night at around six weeks of age (p 7)". I don't love the idea of starving a child of sleep during the day so they will sleep better at night. Giordano may not feel like 2 naps a day at 1 month old is too little, but I certainly do. You can give a child adequate sleep during the day and still have them sleep well at night and I personally prefer to do it this way. It is possible they will sleep through the night a little later this way (although the opposite may be true, I'm sure it depends on the baby) but I would rather give one feeding at night a bit longer and have a well rested child day and night. Some people using her methods throw in some extra sleep during the day and continue to have great success with night sleep. For sure the 4 hourly feeds will be tough for many breastfeeding moms, especially if they have a newborn. They will possibly have to do some additional pumping and they may even choose to exclusively pump so they can monitor the feed amounts better. Many moms will feel comfortable evaluating their child's hunger while breast-feeding and will not pump at all. If I were to do this breastfeeding, I would take everything a bit slower and monitor my baby and my milk supply frequently. I would probably move to 4 hour feeds and twelve hours of sleep later than suggested. But it would depend upon how my baby does and how my body responds. I don't like the idea of leaving a child in his bed for 12 hours if he doesn't need that much sleep. I think it is good to have children learn to be happy in their beds, and being able to entertain themselves for several minutes in their cribs before you get them is fine by me, but leaving a child an extra hour or two just to reach that 12 hour mark (when they don't need this much sleep) isn't something I'm keen on, with some exceptions. To end on a positive note (because there really is a lot to like about her book!) I like the emphasis Giordano places on the health of the entire family and the marriage as well as the child. She emphasizes having the baby be a new member of your family not the center of the family. *The Merck manual says that an infant should have 50-55 kcal/calories per pound per 24 hours which falls in line with the weight and oz listed here. It is roughly 1 ounce per hour. The food intake will increase as baby grows. It's so true that you have to do what fits with your family and your child. thanks for your comments! Rachel I have read the book "The Baby Sleep Solution" and I am implementing the techniques with my son. We have been using the program for 6 days but we are still having problems getting my son to make it 4 hours between feedings. He has been making it to the 4-Hour mark, but not without a lot of fussing and crying fits. 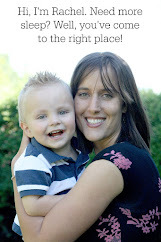 My son has always been very hungry and nothing much soothes him other than eating. He is a little over two and a half months and he has already doubled his weight since birth. He is in the 70th percentile for weight and height. I have constantly had trouble with him always wanting to eat. He seems to be doing better with the schedule but I was just wondering if he will ever get used to it. I am just hoping that he will get used to it soon so that he won't be so upset all the time. We just started implementing this method with my 3 month old and are struggling making it to the 4 hr mark too. The book says babies are usually eating every 3 hours when you implement this, but ours eats more like every 2-3. How did things turn out for you? We are only on day 4 and because I'm exclusively breast feeding, it's also hard to gauge if he's eating enough during the day. One day I went the whole day pumping, but we're trying to do a combination of bottle and breast feeding. Curious to see how it turned out for you in the end. Cheers!